Since the online casino market grows larger, loads of new game providers have sprung up in the market. One of those outstanding providers with its entertaining games is ‘’GameArt’’. The company is one of the fastest growing developers in the industry, and they provide incredible casino games in the market. GameArt was founded in 2013 by talented entrepreneurs who have had successful experience in the online and land-based casino industry during last two decades. The company has evolved into a premium B2B provider and developer. 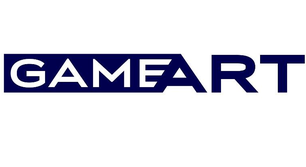 Besides, GameArt has nonstop operating offices which are spread across ‘’Europe’’ - The head office of the company is located in Malta, as GameArt holds iGaming license out of Malta Gaming Authority. Along with that office, the company has offices in United Kingdom, Serbia, and Slovenia. GameArt’s goal is to develop high-quality slot games and gaming contents not only for online operators but also for video lottery terminals and land-based casino industry. GameArt has developed more than 100 branded new casino games such as Tesla, DaVinci Codex, Gold of Ra, More Cash, King of Time, Treasure Reef and Explosive Reels with exclusive designs, 3D graphics backed with high-quality audio and sound effects. Furthermore, all casino games are tested by industry-experienced developers and well-equipped game engineers before their release. All games of GameArt are available on desktop PC, mobile, and tablets, and they are built on HTML5 technology for the top gaming experience and fulfilling online casino lovers’ needs. GameArt casino platforms are accessible in Flash Mode via any web browser. In addition to this, their games are compatible with all mobile operating systems, namely iOS, Android, Windows and even Blackberry. Online casino players who would prefer GameArt casino games, will certainly be delighted, and experience pleasant gaming. Are you passionate about casino games?! Then, onlynodepositbonus.com is the right place guiding you through a large number of casino games of GameArt. In order to please the casino players, we put all GameArt casinos together on the table where you may enjoy your no deposit bonuses, free spins along with many different bonuses. GameArt casinos are reputed to present incredible and latest release online video slots as well as classic slots where you can win high amounts from free spins and no deposit bonuses. Additionally, you can try out online games and enjoy spinning the reels on the websites of many GameArt Casinos before you proceed with deposit. If you would like to spin the reels on the move, the one that best suits you would be to get involved in gambling via mobile casinos. Because GameArt slots are optimized for mobile world in full, therefore, all you need to do is to find mobile casinos which are powered by GameArt and take the joy of playing your favorite mobile slots by using your smartphone. In order to make online gaming more entertaining, make sure you stay tuned on our website when it is all about online casino bonuses that are given by GameArt casinos. If you constantly follow up onlynodepositbonus.com, you will find no deposit bonuses, free spins, and many other special casino offers. GameArt casinos which offer no deposit bonuses and free spins are just one click away from you. Who knows? Maybe you will be the one who ‘’hit the motherload’’!